"Suzanne Hanselman is a 'superb attorney with tremendous securities knowledge,' according to impressed interviewees." 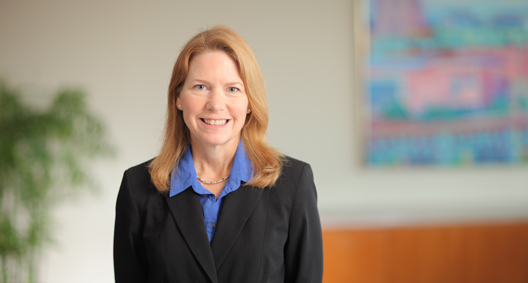 Bringing a holistic view to her practice, Suzanne Hanselman counsels companies on day-to-day corporate issues, ensures compliance with federal securities law and provides guidance to general counsel. Because Suzanne sees her connection with her clients as a partnership, clients feel that she is part of their team while she works to navigate their needs and concerns. Suzanne is ranked in Chambers USA: America's Leading Lawyers for Business, where she has gained "particular praise for her work in securities. Clients note that she is 'very good, responsible and cost-effective,'" (Chambers USA 2015). She also is listed in The Best Lawyers in America©. Suzanne is the business development leader for BakerHostetler's Cleveland office, a member of the national Women's Steering Committee and the former Cleveland Business Group coordinator. Represented a long-standing client of the firm in a $1.1 billion conversion offering of senior notes and preferred shares. Client priced a deal within two weeks after seizing an opportunity to take advantage of public market conditions, giving the team minimal time to prepare and file a registration statement with the SEC, finalize offering materials, prepare an amendment to company’s articles of incorporation and negotiate an underwriting agreement, while also coordinating with the client, the underwriter and its attorneys, the transfer agent and the trustee on underlying documentation. With her ability to draw resources together quickly and her understanding of the way in which the client operated, she addressed necessary matters within the limited time frame. Advised company on its governance, structure and corporate policies, as well as on executive corporation matters, for its initial public offering. Team members involved in this representation were chosen for their extensive IPO experience, as well as their ability to work with the issuer's counsel that had been hired by a private equity firm to ensure that all the client's constituencies were protected. Helped client put structure policies in place to make the transition into a public company, and the subsequent functioning as a public company, as easy as possible. Designed executive compensation programs and disclosures around an initial public offering for a longtime BakerHostetler client. Representation of client required an understanding of corporate governance, shareholder views, tax issues, and SEC disclosure and reporting issues within the industry. Performed work as member of a team serving as primary legal counsel to interrelated family trusts. Provided advice associated with trust administration and fiduciary compliance matters. Advised trusts on consolidated investment policy under applicable law, securities matters related to investments held in sub-trusts, decanting the situs change issues associated with revocable trust entities, and income shifting analysis under domestic and foreign tax accounting rules.